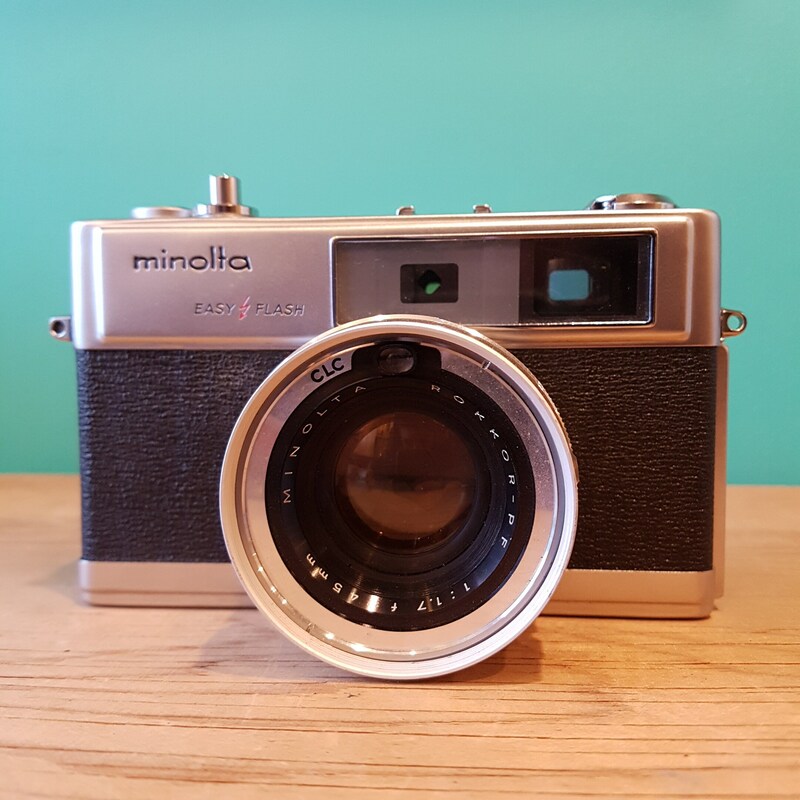 Among the best of the older Hi-Matic rangefinder camera series of Minolta. 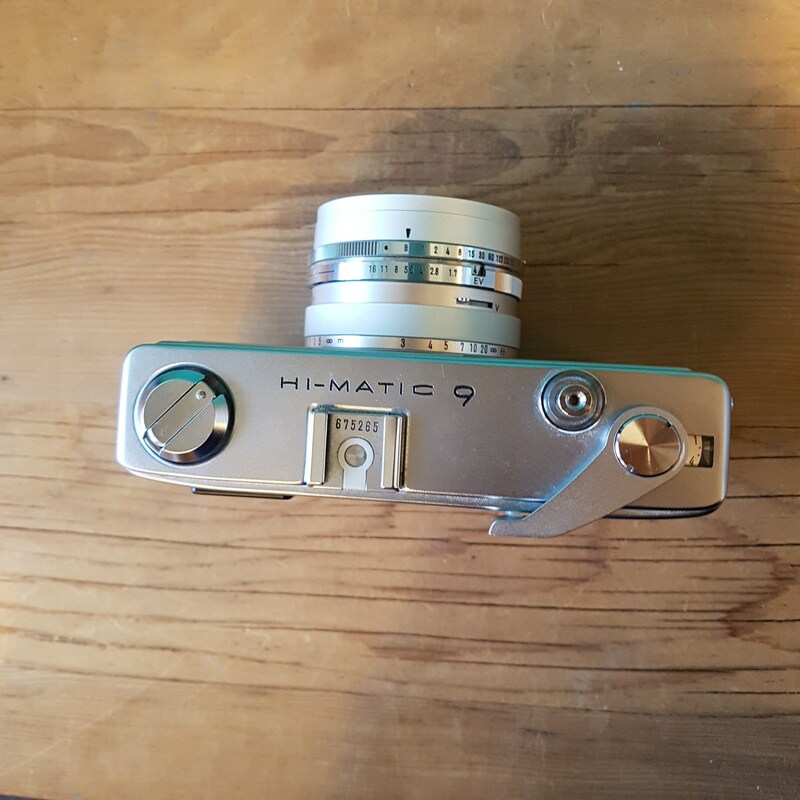 The Hi-Matic 9 is a 35mm compact camera with a fast Rokkor PF 45mm f1.7 lens (6 elements in 5 groups) with a 55mm filter thread. The camera feature an auto exposure mode by lining the A settings on the shutter and aperture dial to the arrow. Manual aperture selection has seven click stops with f1.7, 2.8, 4, 5.6, 8, 11 and 16. 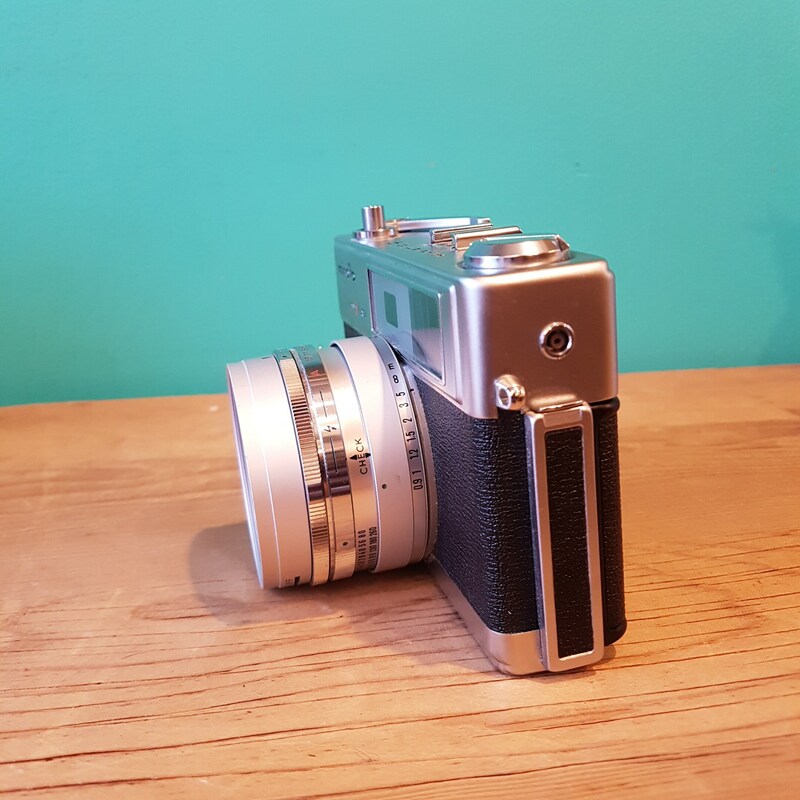 The shutter is a Seiko-FLA with speed from 1 to 1/500 with ten click stops and bulb. The lens barrel also has a EV indicator window. The built-in CLC meter has film speed settings 25 to 800 ASA with a sensitivity from 5.5 to 17 EV and powered by mercury 625 battery. 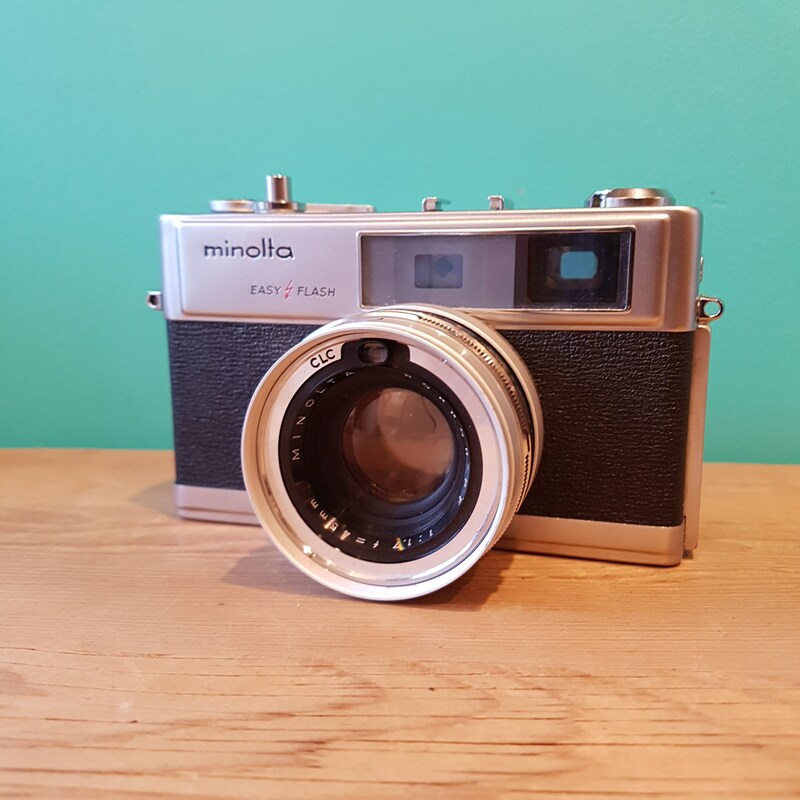 The viewfinder is parallax corrected with the light meter display in EV as well as over, under, flash exposure. A battery status indicator is also in the view finder. 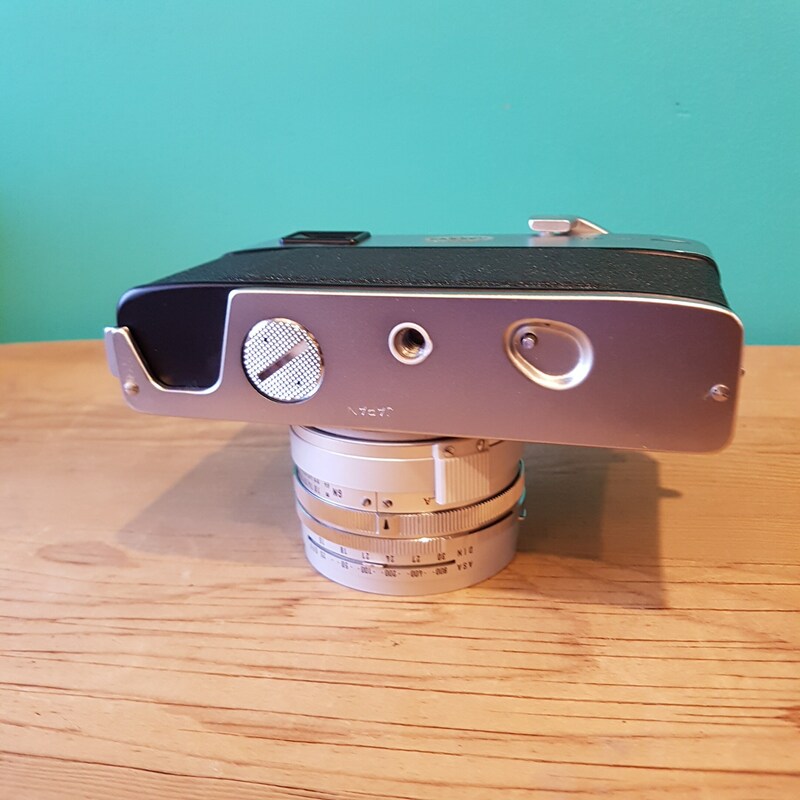 To use line up the green dots on the focusing lens barrel to the check indicator. 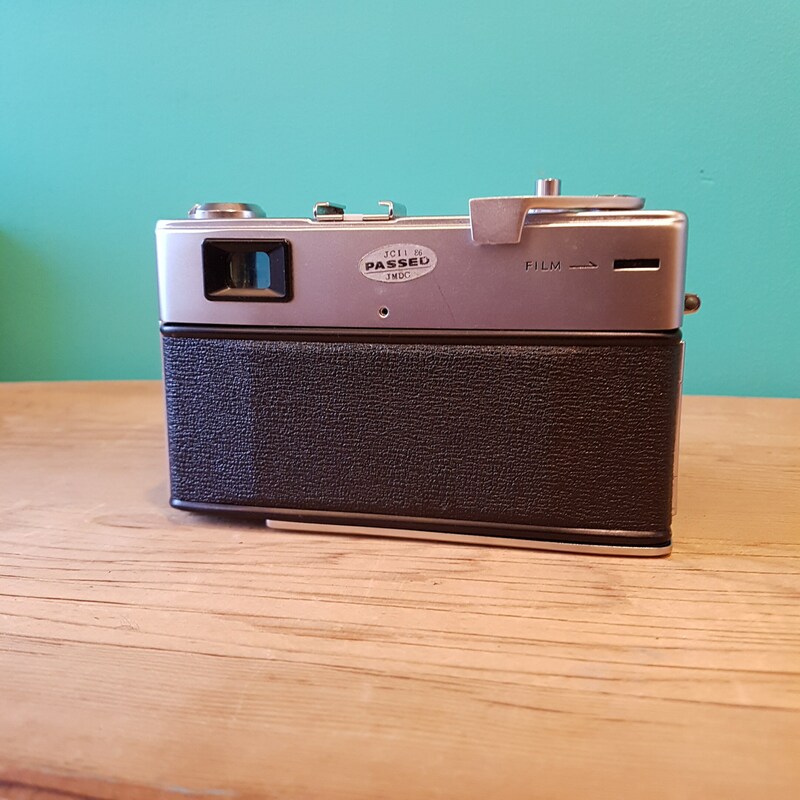 The meter needle in the view finder should point within the block area for good battery condition.